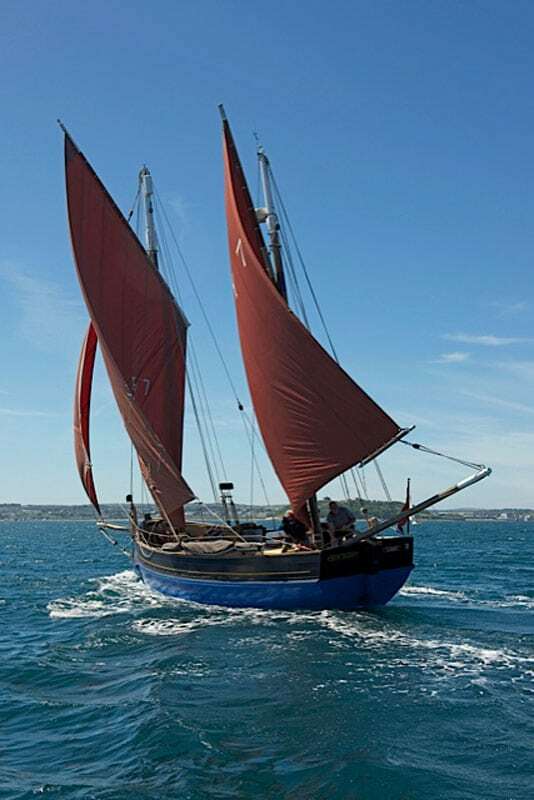 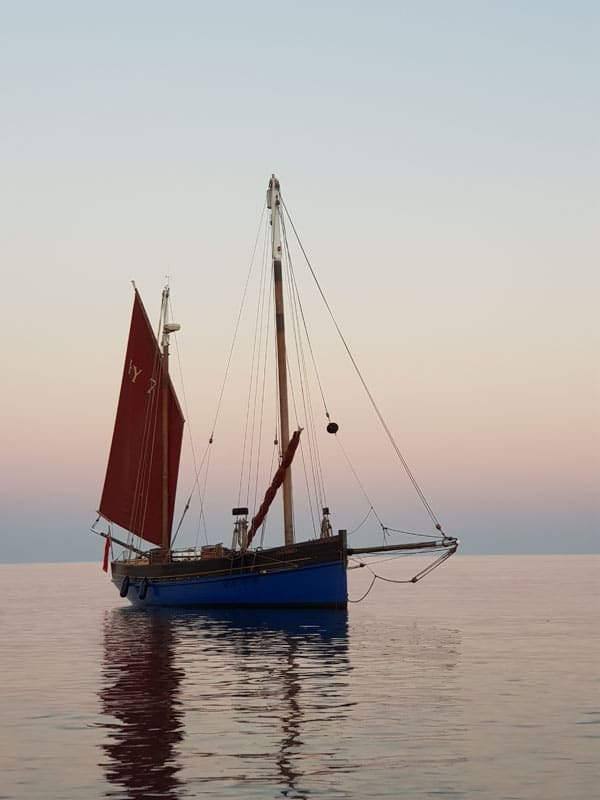 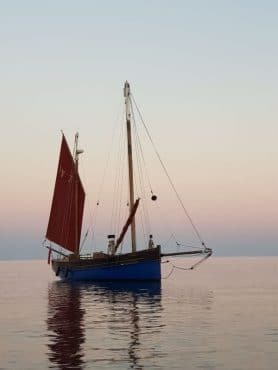 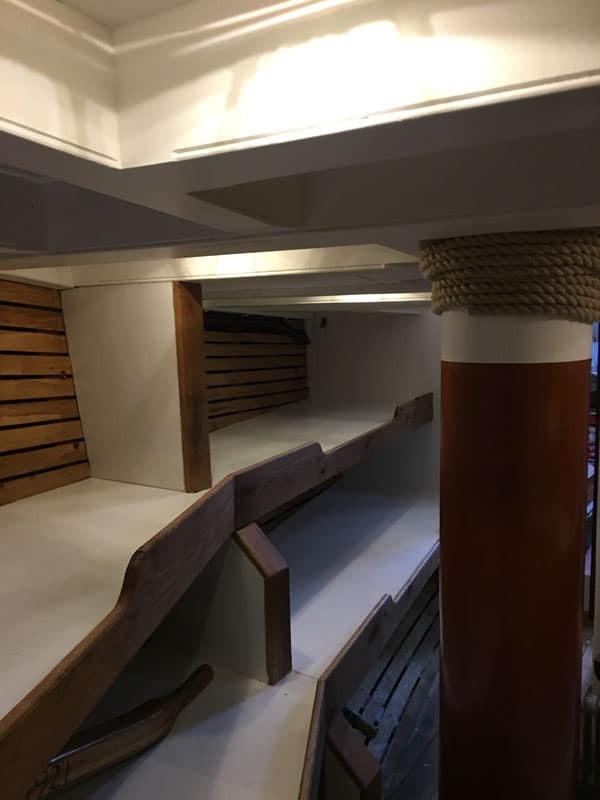 Sail with the traditional Cornish lugger, Our Daddy to Cornwall from Dartmouth and experience the picturesque cobbled streets of Looe and the great atmosphere of the Lugger Regatta. View the Cornwall and Devon coastline from a different perspective this summer and climb aboard Our Daddy for a five day trip from Dartmouth, Devon to Looe, in Cornwall for its bi-annual Lugger Regatta. 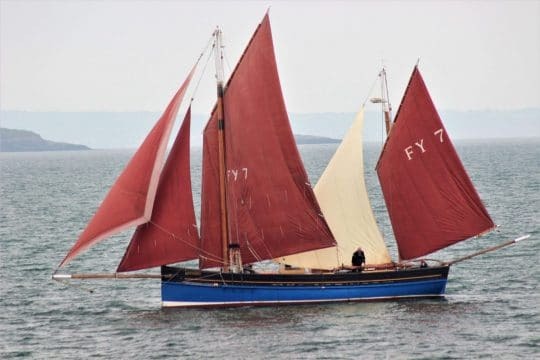 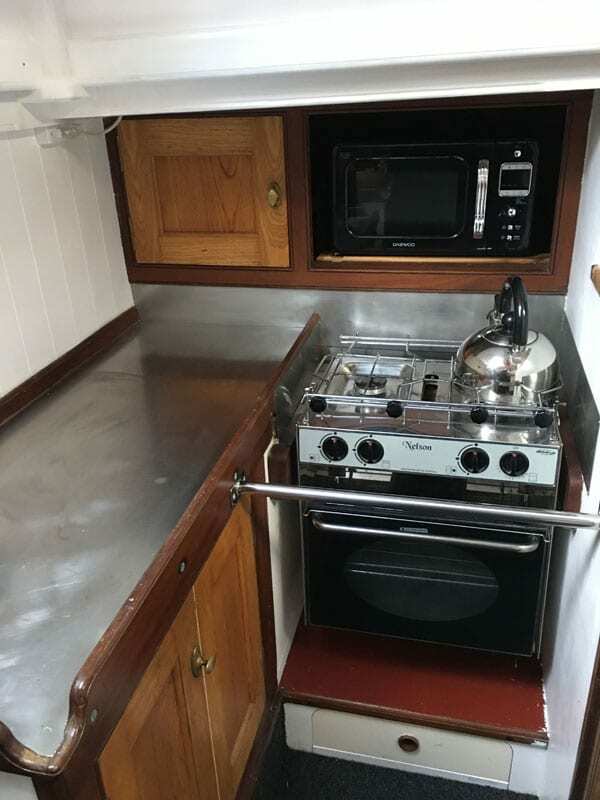 Setting sail from Dartmouth, this traditional lugger will take you out through the River Dart to the open sea, where you will head west down the Devon coast. 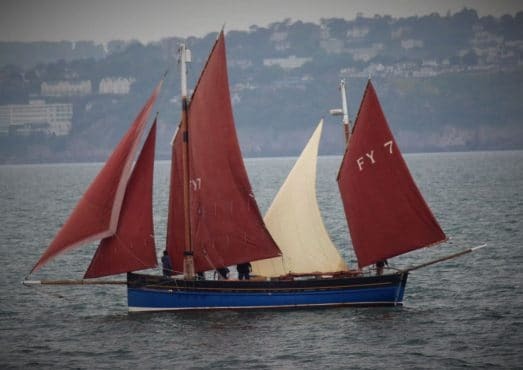 Dartmouth in itself is a beautifully picturesque harbour town, so make sure you allow a little time before joining Our Daddy to wander through the narrow streets and discover what it’s got to offer. Sailing down the coast you will pass Blackpool, Slapton Sands and Slapton Ley – the largest freshwater lake in the south-west (bird spotters – bring your cameras!). With porpoises and dolphins often playing in ships’ wake and guillemots, kittiwakes, kestrels and gulls ashore; make sure you’ve got your eyes peeled and your binoculars at the ready. 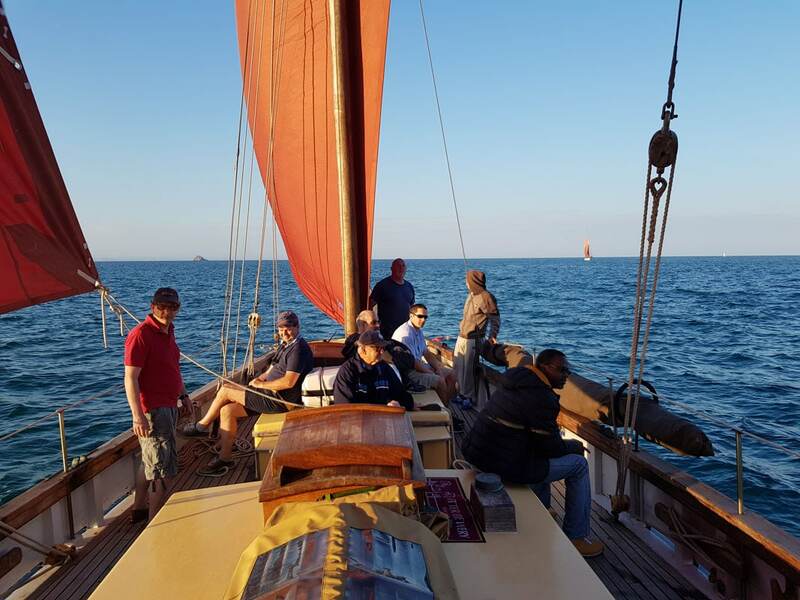 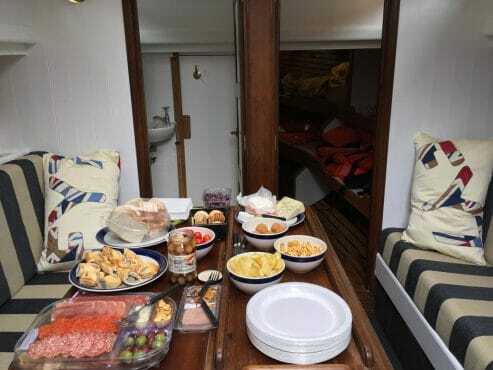 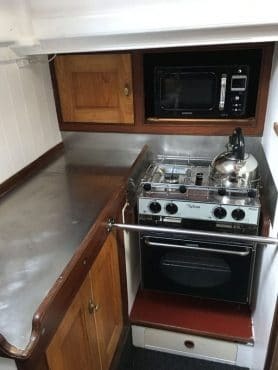 Whether you’re a seasoned solo sailor or a group looking to do something a bit different with your weekend, Our Daddy’s crew will cater for all ages and abilities. The bi-annual Looe Lugger Regatta in the lovely seaside town of Looe is a celebration of the area’s fishing heritage. 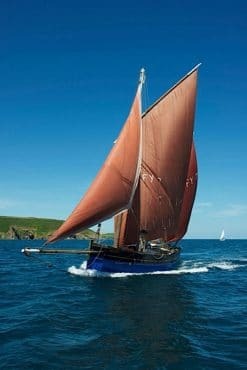 Traditional Luggers were once the common and traditional fishing boats of choice along the coasts of England and France. Today Luggers from all along the English Coast and even from across the channel in France, gather in Looe to exchange stories, marvel at the traditional vessels and race together. 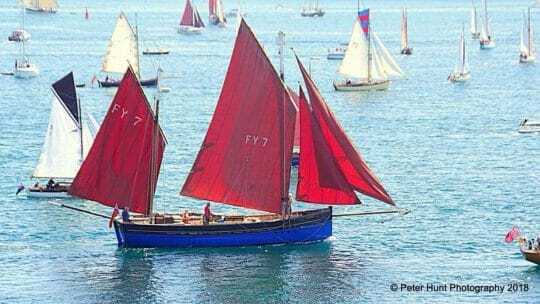 The Luggers compete in six races spread over the two days of competition. Around fifty boats, many of which were built more than a hundred years ago and lovingly restored by their owners, unfurl their sails in the harbour creating a magnificent spectacle. 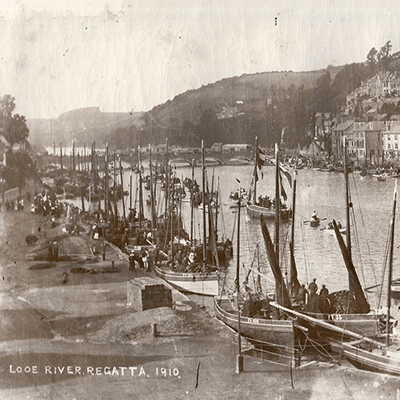 The seaside town of Looe is still very much a working fishing port, level streets with buildings dating from the 16th and 17th centuries, snake their way out to the beach. 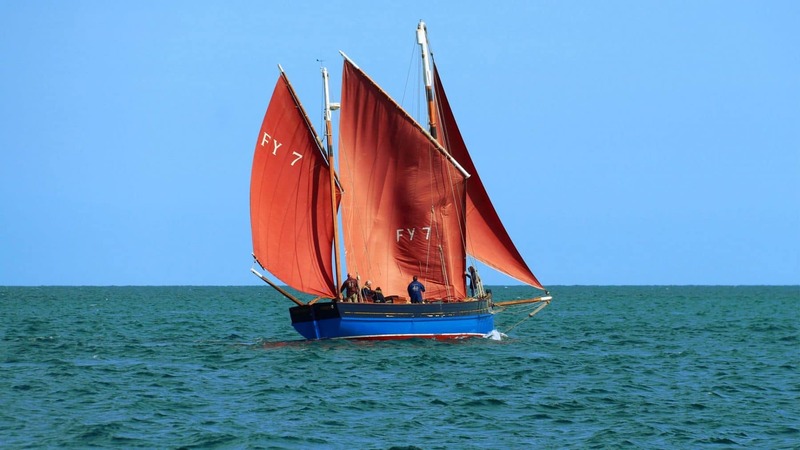 The town comes alive for this Regatta, with many of the local pubs hosting celebrations with local bands and live music across the weekend. 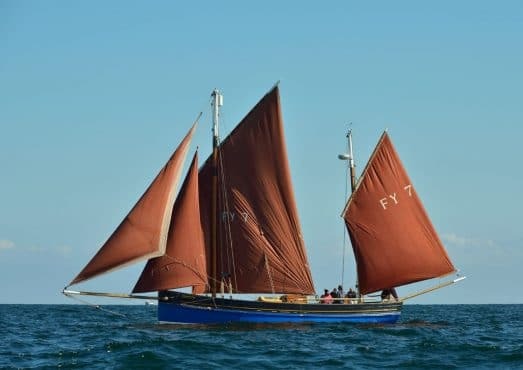 Whether you are a sailing enthusiast or a complete novice looking for that next adventure, the Lugger world is one that welcomes with open arms and this Regatta is a lovely way to see the coastline and experience a true piece of maritime history.